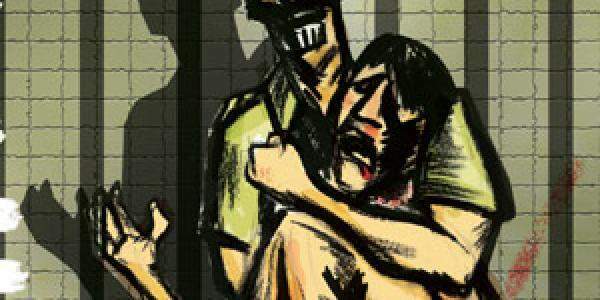 KOCHI: In yet another blot to the Kerala police, a case has been registered against four police officers with Edathala police station in Aluva here for manhandling a 39-year old after allegedly taking him into custody. The police in Kerala is already in the dock following the Varapuzha custodial death incident and the death of a Dalit Christian in Kottayam after the police officers for failing to act in a timely manner. Interestingly, the Aluva incident of police atrocity is the second instance of police atrocity in Ernakulam Rural Police limits. According to the police officers, disciplinary action would be initiated against these officers. Ernakulam Rural Special Branch DySP has commenced an inquiry into the matter. The incident occurred at 5.30 pm on Tuesday in Kunchattukara near Edathala, Aluva. The victim, Usman, of Maruthumkudi, Kunchattukara, was picked up by a few police officers in mufti and took him to the police station in a car. According to relatives of Usman, a red car came from opposite direction hit his bike in front of Edathala Government School. When he questioned this the men inside the car manhandled him. There were five men in the car and the driver, who identified as CPO Faizal, beat Usman. Four cops in mufti rounded him up when he tried to defend himself. Later, they dragged him to the car and took him to Edathala police station. Usman didn’t even know that they were cops. In Edathala police station, he was brutally assaulted by the police, relatives alleged. On hearing the news, local residents rushed to the station and Youth Congress workers staged a protest in front of the station. Following this, Usman was shifted to Government Hospital, Aluva as per the instruction of Aluva DySP KB Prabhulla Chandran. As there were not any facilities for scanning, he was then shifted to Rajagiri Hospital. registered against Usman also, officers said.